The world is in an era of great transformations. Globalization, transnational capitalism, September 11, the 2008 global financial crises, and the emergence of the ’second world’ in general and the BRICS in particular are characterized by a diffusion of power away from the traditional North Western powers and towards the global South. Such great transformations have reshaped the terrain and parameters of social, economic and political relations both at the national and the global levels and have exerted pressure on the exiting international order in terms of both opportunities and constraints. This new era also urges the need for re-conceptualizing the changing world order especially with regard to one of the core conceptual categories and analytical apparatus in the studies of IR and IPE - hegemony. The world will witness a new era of interdependent hegemony, in which both the existing ’First World’ and the emerging ’Second World’ are intertwined in a constant process of shaping and reshaping the international order in the nexus of national interest, regional orientation, common economic and political agenda, political alliance and potential conflicts. 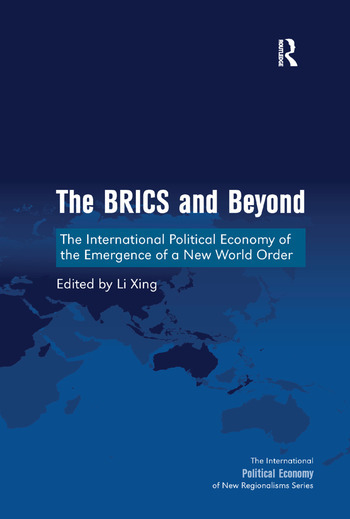 This collection juxtaposes, from different perspectives and approaches, the discussion on the political economy of the emerging world order with a focus on the rising powers. Li Xing is Director, Research Center on Development and International Relations, Department of Culture and Global Studies, Aalborg University, Denmark.